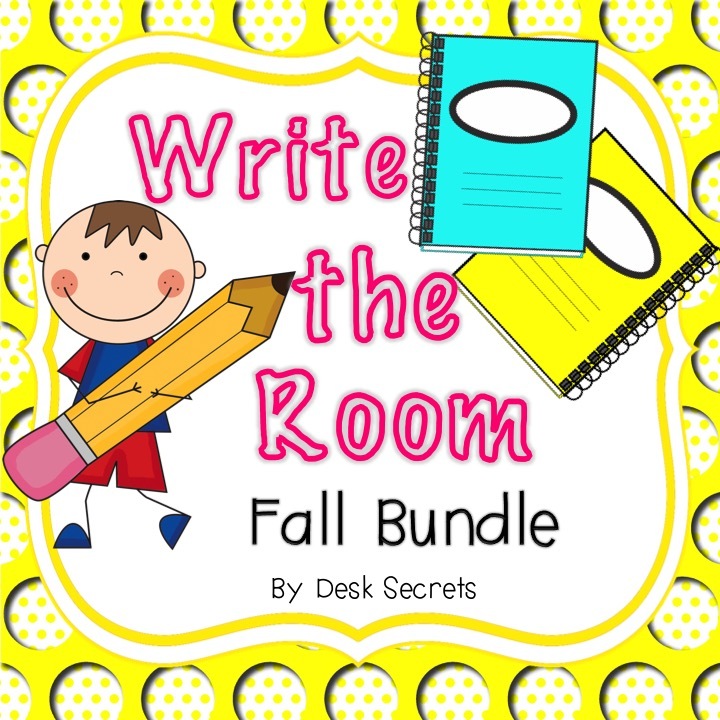 Who loves to Write the Room? I do! I do! I do! So do my sweet students. Oh man do they love getting a clipboard, pencil and recording sheet and going at it! I love watching them focus. I have a been working on making fresh new Write the Room products this year to go with many of my themes. 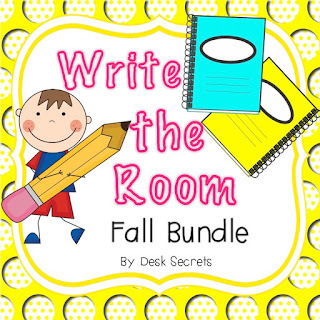 I have a Write the Room for the following: colors, shapes, school supplies, rules, 10 frames, nursery rhymes, family, fire safety, five senses, apples and pumpkins (together), fall, Little Red Hen, and Thanksgiving. Some of these are unique and I made them because I couldn't find many like them yet these mirror many of my themes. The best part? I put them in a bundle BUT you can purchase them individually as well. This way you can tailor my Write the Room products based on YOUR themes. Click HERE to see the Bundle. My favorite is the Apples and Pumpkins Write the Room because it goes with my compare and contrast apples and pumpkins unit. You will often see Write the Room products for apples and for pumpkins but when have you seen them together? Now you have!